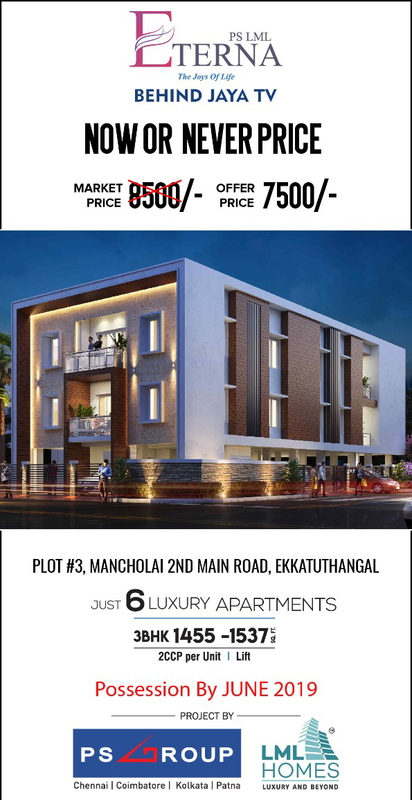 chennai estates offers apartment available for sale in Madambakkam,Chennai developed with unique and integrated residential complex. BrownStar Developers offers 2 bhk residential apartment available for sale in Madambakkam surrounded by important landmarks, banks, hotels and more. Kgeyes Residency Pvt Ltd offers 2 bhk flats available for sale in Madambakkam is a magnificent and luxurious apartment for comfortable living.